If you ask me what do I love in life, I would tell you food and with so many amazing places serving great food around me, I can say that there is a never ending list of places I would love to try. However, sometimes good food can be quite a sinful indulgence and I definitely do not want my waistline to keep expanding. 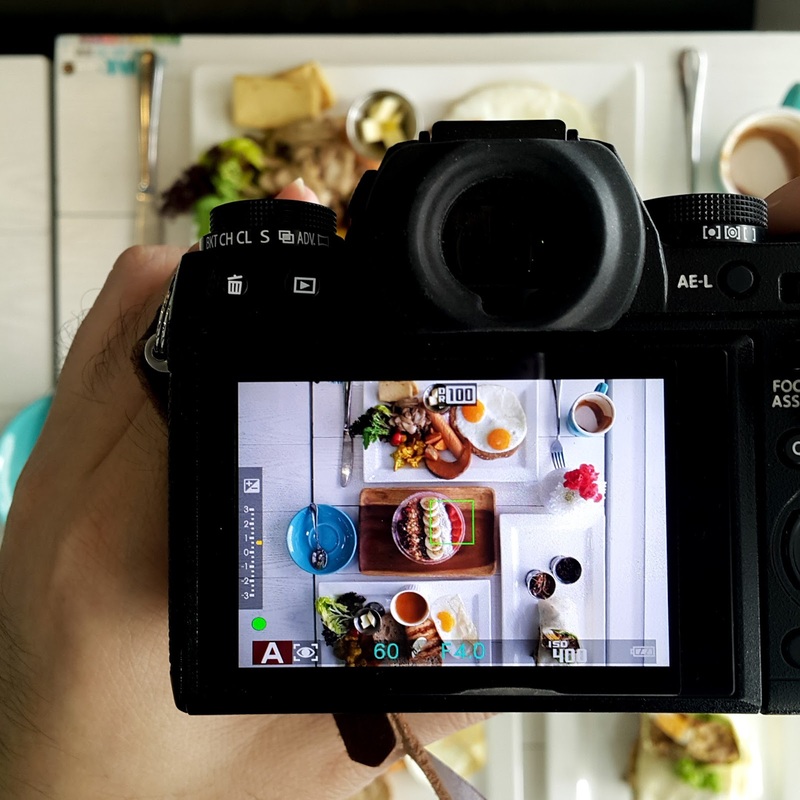 Thankfully, there are many eateries advocating healthy eating and most importantly that we can both enjoy good, scrumptious food while still retaining mouthwatering flavors. 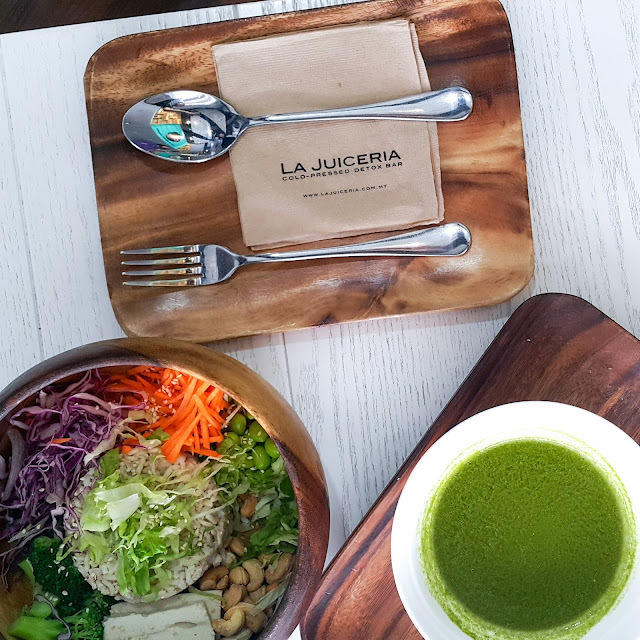 Goodness Greens by La Juiceria located at TTDI is one of my current favourite place to enjoy great dishes while still maintaining a healthy diet. 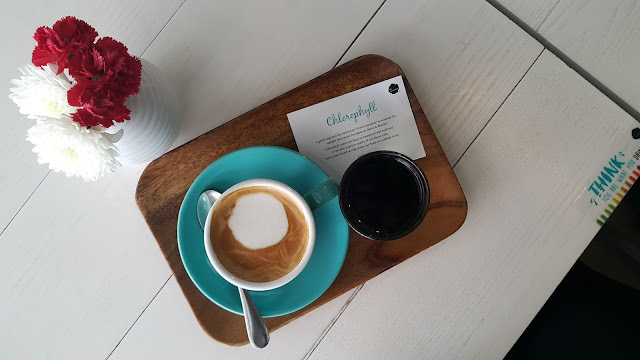 This quaint cafe serves not only their signature cold press juices but also a variety of hot selections best for a healthy meal. Plus point for those around TTDI is Goodness Greens starts operating from 8am which means you can get your dose of healthy breakfast even early in the morning. This is great for the office crowd around the area and for those who are normally up early. 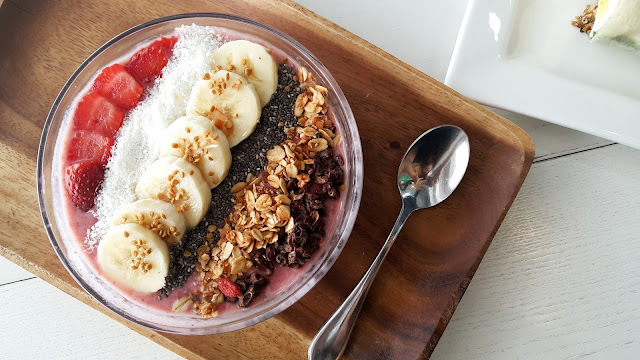 Grab their Acai Berry Bowl (RM24) for a breakfast starter which has a tangy smoothie base topped with Brazillian berries, banana, virgin coconut oil, almond milk, maple syrup, cacao nibs, desiccated coconut, dry berries and chia seeds. Do not underestimate this bowl of natural goodness because it can fill you up right til noon and gives you the necessary burst of energy. For those of you who always crave to indulge in our classic yet sinful Nasi Lemak, fret no more because at Goodness Greens you can indulge in their Nasi Lemak Wrap (RM21.90) which is a healthy and delicious version of Nasi Lemak. 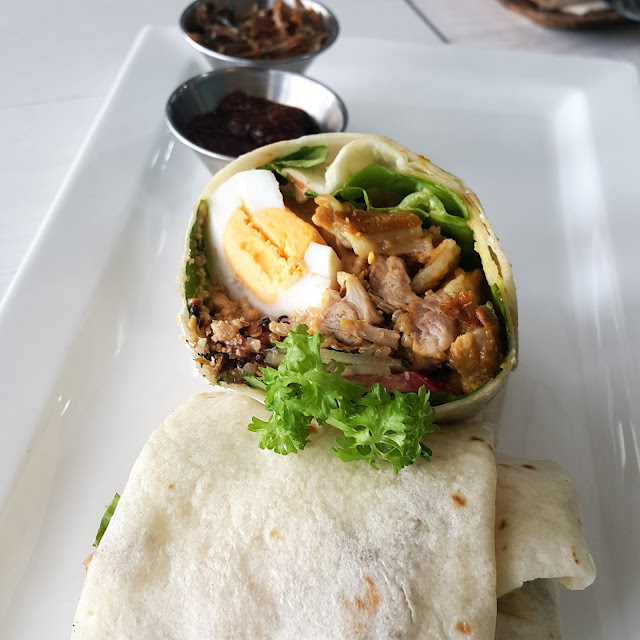 Get your healthy wrap with Japanese cucumber, Omega egg, Tomatoes, Anchovies, Nuts, Lettuce, Chicken Thigh, Coconut Oil and Quinoa with Spicy Sambal. This taste just like a good plate of Nasi Lemak but replaced with the quinoa, it is just perfect for a healthy munch! Super filling, I could eat half the wrap for lunch and keep the other half for dinner. 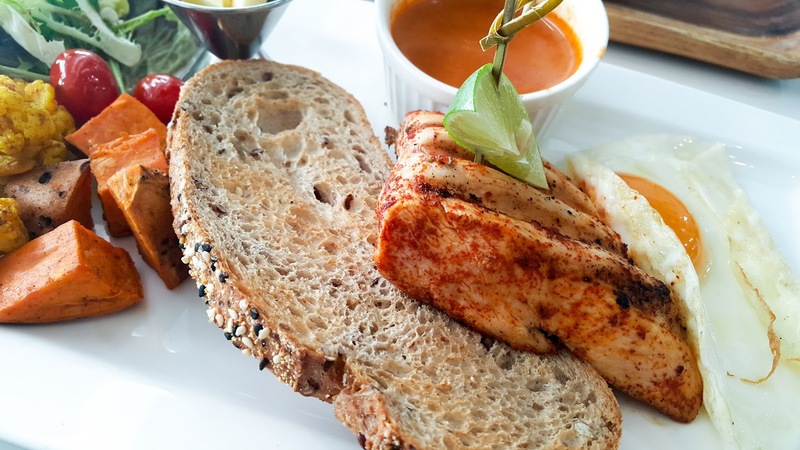 Among the selections in the Breakfast Menu, get your healthy dose of protein with their Herb Chicken Breakkie (RM23). 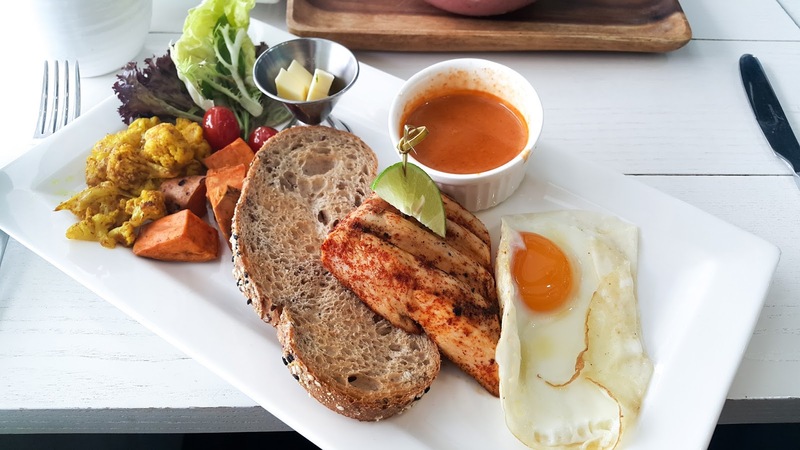 Nicely seasoned chicken breast is served with a sunny side up egg, roasted baby potatoes, high fibre bread, butter, and a side of salad with cherry tomatoes served with warm Thai red coconut curry. Chicken breast not too dry, it was a delight to dig into this platter without worrying about the calories. 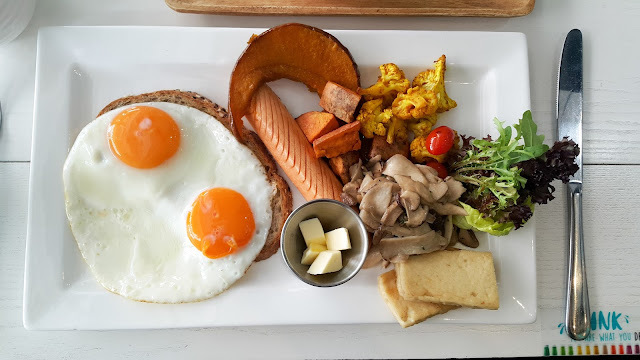 The Big Breakfast (RM26) is a healthy breakfast for champs! 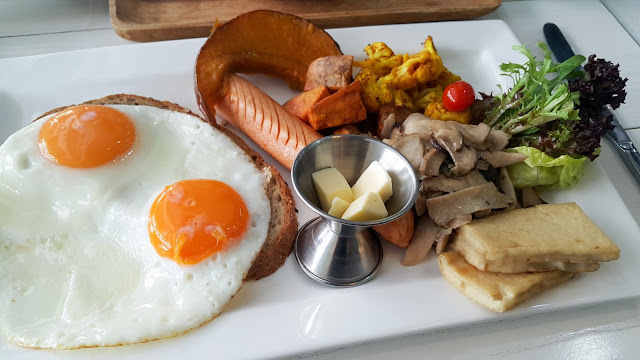 Get two kampung eggs (your choice of sunny side up/soft boiled/scrambled) served with grilled chicken sausage, grilled beancurd, roasted baby potatoes, sauteed trio mushrooms (shiitake, white buttons, eryngii), high fibre bread with a side of salad. Flavors well balance, this breakfast will keep you going until lunch or maybe even dinner. For those who prefer an Asian twist, get their Goddess Bowl (RM18.90) which is resembles the Hakka Lui Cha. A generous portion of brown rice served with tofu, red cabbage, raw cashew nuts, edamame, steamed broccoli, shredded carrots, romaine lettuce, sesame seeds and served with warm basil and herb broth. 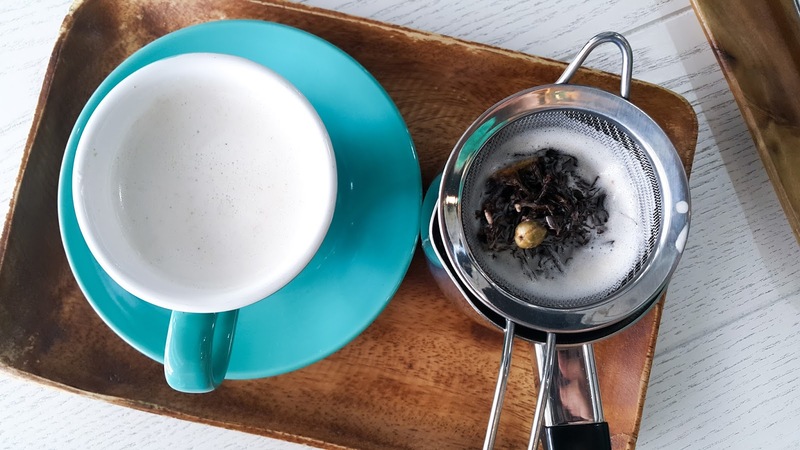 This definitely meets your daily vegetable needs and do not worry that the broth is too concentrated because compared to Hakka Lui Cha, the broth is rather mild. No matter how healthy we would love to be, we still have our sinful cravings for sweet treats but at Goodness Greens you can indulge in some guilt-free cakes (RM14.90) by The Honest Treat! 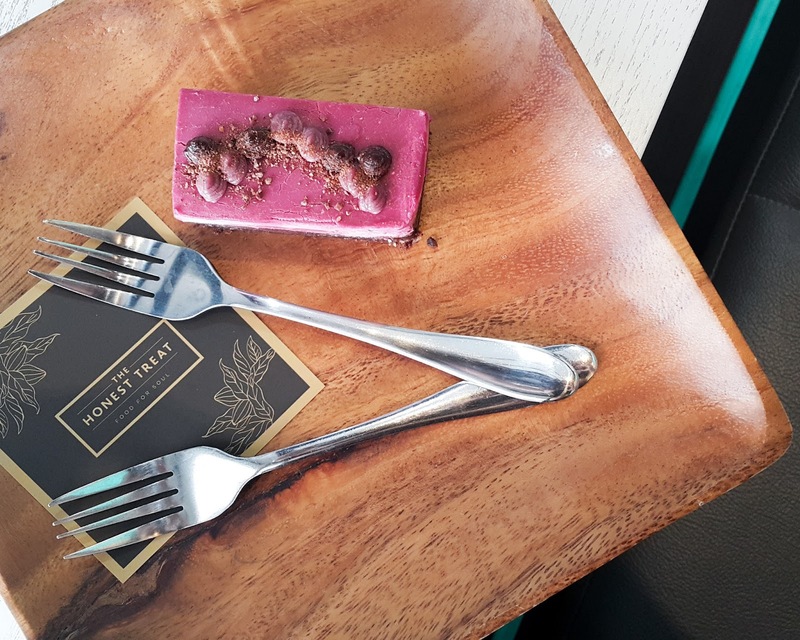 Have a taste of their raw cakes which are unique, dense and very flavorful minus the sinful calories. 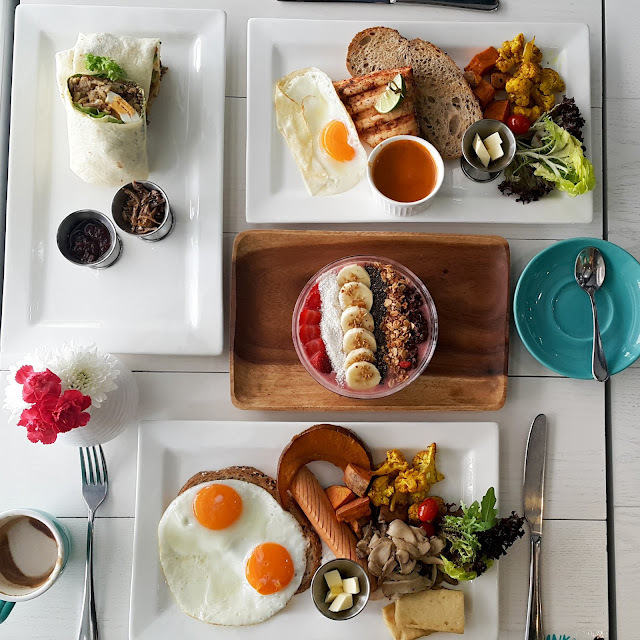 Overall, it was a healthy yet pleasurable dining experience at Goodness Greens and I would definitely return especially for their Nasi Lemak wrap!